Fruits such as apple, bananas, figs, oranges, pineapples, plums, raspberries, and strawberries are used in cuisine. Sometimes fruits are eaten uncooked, but they are also often used as ingredients in recipes. Apple Crumble - This British recipe is a pie-like dessert. It is made from apples topped with a loose sweet pastry, and is baked in the oven. Other fruits can be used instead of apples, or even mixes of fruit, so popular variations include apple and blackberry crumble and blackberry crumble. Blackberry Jam - A fruit preserve made from blackberries. Great on bread or toast. Congealed salad - This is a Midwestern recipe which is popular at potluck dinners and other communal events. It is madefrom flavored gelatin and fruit, and sometimes contains grated carrots and other vegetables. Other ingredients cream cheese, marshmellows, nuts, or pretzels are also sometimes added to the recipe. Ovocné knedlíky - This is a Czech recipe for fruit dumplings. They are made by coating pieces of fruit with potato dough and then boiling. At Christmas and Easter, plumsare often used as the fillings, but other fruits can be used as well. Ovocné knedlíky can be eaten as a main dish or as a dessert. Schnitz un knepp - This is a traditional Amish recipe for dumplings. Apple slices are served with dumplings, made from dried apples with eggs, flour, ham and milk. Strawberry Jam - A fruit preserve made from strawberries. Strawberry jam tastes wonderful on bread or toast, and is of course an essential ingredient in peanut butter and jelly sandwiches as well as many types of cakes. Strukli - The is a Croatian recipe for ravioli. It is normally stuffed with apple or cheese. In northern parts of Croatia, strukli are particularly eaten during the Christmas period, and served with compotes of dried fruits (such as apple, pear, or prunes). T'ghit - This is an Armenian recipe for soup. It is made from sheets of roll-up plum puree (t'tu lavash). The sheets are cut into small pieces, boiled in water, and then onions added. Lavash (Armenian flatbread) is placed on top of the mixture. The bestselling beginner’s guide to dropping pounds, not nutrients. Losing weight is not just about looking good—it’s about feeling good, too. Juicing for Beginners is the go-to guide to lose weight and enrich your body with essential vitamins and minerals. Learn the ins and outs of detoxes, cleanses, and how to start juicing. 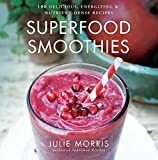 With fresh new recipes and profiles on the revitalizing properties of key fruits and veggies, this book invites you to drink in good health. Juicing 101—Learn why juicing is good for you, the health benefits of fruits and vegetables, plus practical tips on choosing a juicer. 100 Restorative Recipes—Take a sip of delicious fruit, vegetable, and green-based juices, and so much more. Diet RIGHT—Get smart about which juicing plan works best for your lifestyle and weight loss goals. Wake up with Green Good Morning Juice or treat yourself to Cool Cilantro Coconut Juice just because. Whatever your juicing style is, this book helps you get lean and feel good. So, you have made the big decision to take control of your health and join the whole food plant-based diet movement. Congratulations! You have just made one of the best decisions of your life! Plant-based foods, especially when whole and unprocessed, have a lower calorie density which means you will have to eat larger portions and it will be a lot easier to lose some weight because these foods add much more bulk. Set aside your concerns about not knowing what to eat or feeling unsatisfied on your plant based diet. With The Plant Based Diet Meal Plan you’ll enjoy delicious, simple plant based diet meals that you’ll want to eat time and again. Just terrific, and well priced! 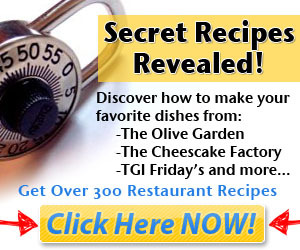 Tons of feel great recipes, but TWO of them are particularly outstanding! Read on! Nutribullet Recipe Book makes it so quick & easy to utilize all of the nutrients that natural foods have to offer in fresh, delicious & tasty smoothies. On the day you start using your Nutribullet you'll receive a huge boost to your body & wellbeing. The boost of vitamins, nutrients, minerals & antioxidants will start restoring you to your natural balance by cleansing & detoxing with the result being that you feel happier & more energetic than you've felt in a long time! As well as feeling amazing & so full of energy, you'll very soon notice the weight dropping off & your skin looking incredibly radiant. Furthermore, you'll find your that blood pressure & cholesterol levels will drop to optimum healthy levels. Your organ health, metabolism & immune system will all get that boost that you so much desire. It goes without saying that you'll have a longer, happier & healthy life. All of these benefits (& so much more) in the time it takes to throw a few ingredients into a big cup & with a quick & simple press of a button! Nutribullet smoothies are powerful because they extract every last drop of goodness that your raw & natural produce have to offer. You'll be shocked when you realise how much nutritional value you throw away by taking off the skin, stem & seeds from fruit & veg. Incidently, this is a great way to get your kids to have their fruit and vegetables with all of the vitamins, minerals & nutrients they need in a very quick & delicious way. They may even enjoy making the smoothies themselves! Take a step towards a longer, healthier & happier life. A life with more energy, more time & less weight. Your new radiance &that confidence awaits you. You won't regret buying the Nutribullet Recipe Book! Since releasing his documentary, Fat, Sick & Nearly Dead, in 2010--which became a worldwide sensation--Joe Cross has become a tireless advocate for the power of juicing. The Reboot with Joe Juice Diet brings us his story of overcoming obesity, poor health, and bad habits and presents success stories from others whose lives he has touched. 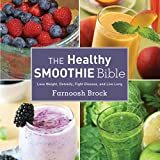 Cross--who lost a hundred pounds and discontinued all his medications by following his own plan--walks the reader through his life before juicing, candidly sharing his self-defeating attitude toward food and fitness. The Reboot with Joe Juice Diet Cookbook, the sequel to The Reboot with Joe Juice Diet, provides readers with more plant-powered recipes that they can use with the Reboot Juice Diet plans or any time for a healthy meal along with juicing and cooking information and inspiration. To make the very best cider―whether for yourself, your family, and friends or for market―you first need a deep understanding of the processes involved, and the art and science behind them. Fortunately, The New Cider Maker’s Handbook is here to help. Author Claude Jolicoeur is an internationally known, award-winning cider maker with an inquiring, scientific mind. His book combines the best of traditional knowledge and techniques with up-to-date, scientifically based practices to provide today’s cider makers with all the tools they need to produce high-quality ciders. A mechanical engineer by profession, Claude Jolicoeur first developed his passion for apples and cider after acquiring a piece of land on which there were four rows of old abandoned apple trees. He started making cider in 1988 using a “no-compromise” approach, stubbornly searching for the highest possible quality. Since then, his ciders have earned many awards and medals at competitions, including a Best of Show at the prestigious Great Lakes International Cider and Perry Competition (GLINTCAP). Claude actively participates in discussions on forums like the Cider Digest, and is regularly invited as a guest speaker to events such as the annual Cider Days festival in western Massachusetts. He lives in Quebec City.